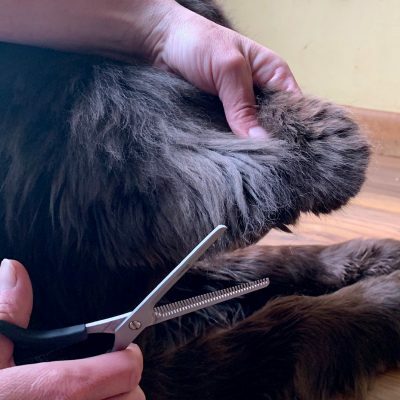 Most Newfoundland dog owners can relate to not being able to go out in public with their Newfoundlands without getting asked a bazillion questions by curious bystanders. I think it’s safe to say that if you’re looking to have a quiet outing and keep to yourself, you’re not going to get that with a Newfie by your side. As a Newfie owner, it’s just something you have to get used to. I’ll admit that in the past I found this a little annoying. All I want to do is clear my mind and walk my dog. I don’t like people. But over the years I’ve started to embrace it. I love talking about my dogs. It’s what sparks me. 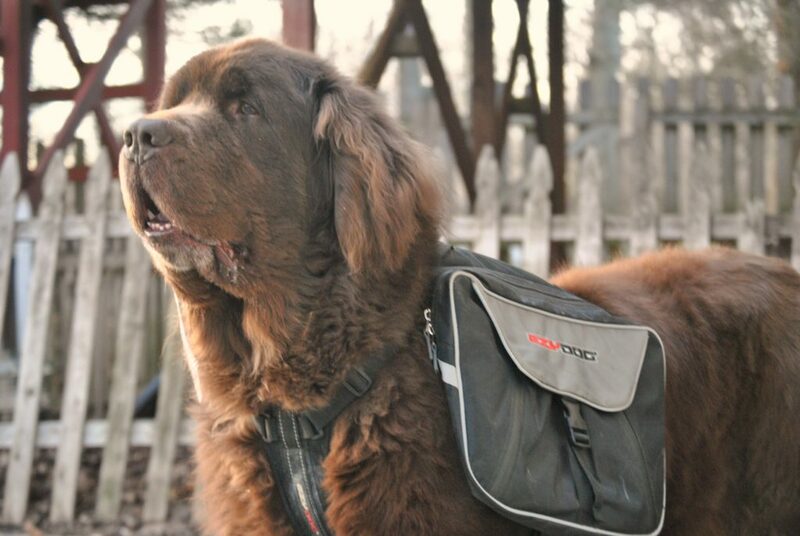 I love spreading the Newfie love and watching my dogs bring a smile to other people’s faces. Having a Newfie has connected me with so many people over the years that I otherwise would never have met. You never know who you’re going to meet. What kind of dog is that?!!!!!! It’s a Newfoundland. A NewFOUNDlander? 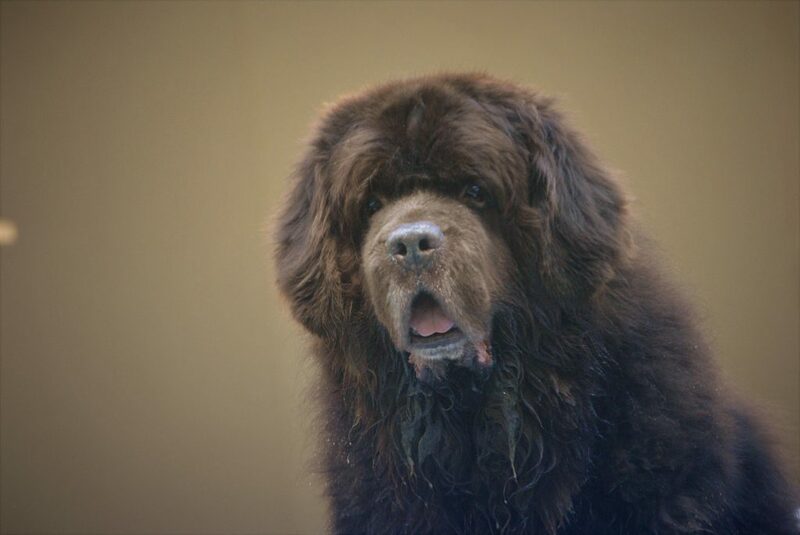 No, a Newfoundland. WOW! I’ve never seen a dog that big!! This answer may vary by the dog but in short, yes. 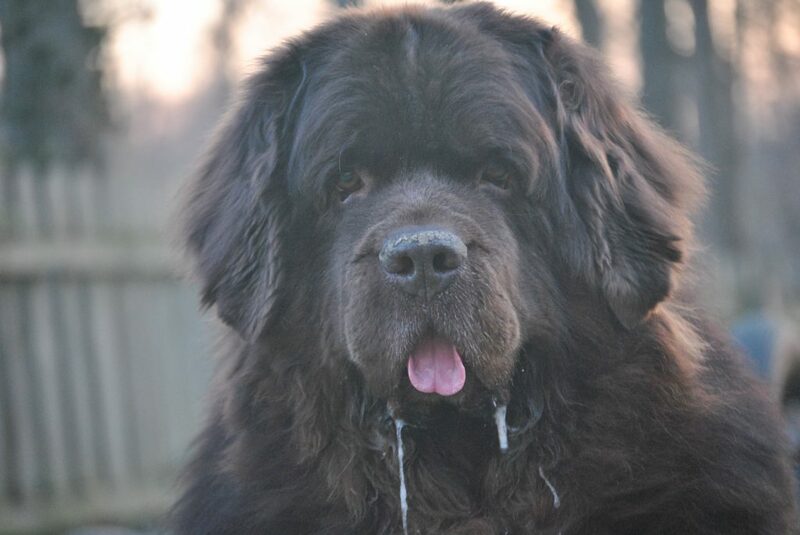 Some drool more than others. Some may drool only when they drink or are begging and others will drool more on a regular basis. It always makes me laugh when they ask this question and you say yes, but they still go right in for a pet under the chin and then they look at their hands and nonchalantly wipe it back on the dog. Hahahahaha. Good times. It doesn’t matter what color Newfie you have this question will be asked of you at least 1,000 times. It’s one of those silly questions but one that comes from someone who has no idea what kind of breed it is so the first thing that comes to mind is a BIG mammal. Let’s face it, no matter how annoying we think this question is, it makes both parties giggle and is a good icebreaker. 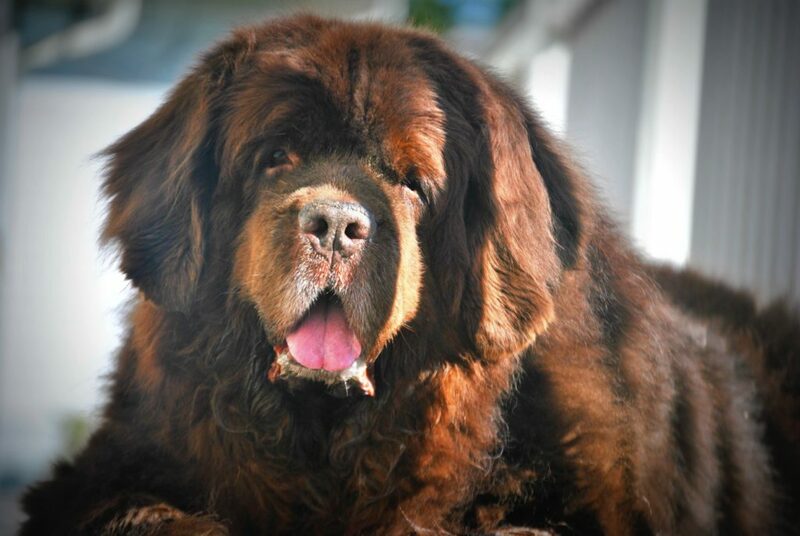 It sets us owners up for a great chance to educate about the Newfoundland breed. Another question that will vary based on the dog and what type of the diet that they eat but most people will be very surprised that they eat way less than they thought. No, they don’t eat 10 cups of food a day. Is that a St. Bernard? While the resemblance can be understood coming from someone who is not familiar with either breed, this may be the most offensive question a Newfie owner can be asked. Nothing against a St. Bernard but no, no and no. It’s one of those questions you just have to laugh off and then explain. Believe me, the person that asked this question will leave KNOWING what a Newfoundland is so you’ve made one more person aware of the breed. Do you live in a big house and have a big yard? Again, another answer that can vary but I think several owners with Newfies live in average size houses with average size yards. Newfies are BIG but they don’t necessarily need a large space to live in because they want to be wherever their family is. Where you go, they go. It doesn’t matter if you live in a mansion or a granny pod, a Newf will be within 1 foot of you at all times. Do you have a saddle for him? Do you ride him? One of those questions that hit right where it hurts for most Newfie owners but we have to consider the source and assume that this is the same person that asked if our dog was a bear and laugh it off. Unless, of course, it’s the guy who’s aunt had a Newf and when they were kids they use to ride him. He died when he was 5 because he had back issues. That person usually gets the evil eye. I didn’t know they came in brown. What other colors are there? I don’t know about people with black Newfies but this is a standard question that I get all the time. Of course, black is the most common color seen in Newfies and it’s great to be able to explain the other varieties that Newfies can come in. It’s also a good chance to dispel any mythical colors out there. No, Newfies do not come in blue, red or champagne. I get this one a lot and it usually makes people laugh when I say on the couch. And then I tell them that Sherman sleeps on the floor and you can tell they are kind of bored with that answer so they go back to asking how big our couch is. I have to admit that this is probably not a breed specific question and it’s a good question for anyone to ask when they are approaching any dog but I find that most people ask this after they’re staring at the dogs for 20 minutes OR they ask as they are going in for a pet. One time I responded to a guy with, “God, I hope so.” while he was already sitting on the floor next to Leroy petting him. Do you ever wonder what happens to those pictures? Where do they go? Who sees them? I love that people want to take pictures of my dogs and send them to a family member. I remember one time a man asked me if he could take Sherman’s picture and send it to his mother who was sick in the hospital. He said it would make her smile because she loved dogs. That warmed my heart BUT if I charged a dollar for every picture that has been taken, I’d be one rich lady. When you are blessed with a Newf in your life you have to keep in mind that when you are out in public with them, it’s all about the Newf and not about you. It’s their world, you just live in it. So how about you? What questions do you get asked? Oh no! You 2 don’t look like pugs at all! I love this blog post and I like your point of view … My vizsla is way more small and all but I find your answers aply to many dogs in many ways – like who is walking who – I believe not even a little dog should “walk” you around. Oh and I also love your sense of humor! 🙂 Great post. Yes! I couldn’t agree more and thank you for the very kind words! HA! Sounds a lot like the life of a Goldendoodle! Ohhhhhhh….I can only imagine the questions that you get asked Cathy! 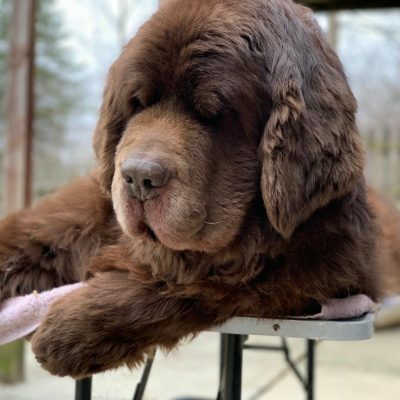 I’m surprised nobody knows about brown newfs! Not many people have seen the brown Newfs in this area. We have noticed that everyone with a big furry dog gets asked lots of dumb questions. Many people really don’t think before they open their mouths and words fall out. I bet you get a lot of question about Katie! I love that you have patience and kindness when you answer the questions. I’m sure it is more than tempting to answer stupid with what it deserves, but it is a chance to educate and that is important. The biggest misconception with Shelties is that they are Collies. Bailey hates being called Lassie. You should see the looks he gives people. Cute does not mean you can throw yourself at a dog and demand attention. Bailey loves attention, Katy has to warm up to people. It can be so hard to convince people that just because they are cute it doesn’t mean they are asking for attention, it is just the looks that they were blessed with as they came into the world. I think my favorite lately is when people won’t believe Bailey is 13. They think I’m trying to kid them. Now my baby really is an old guy. I can only imagine the comments you get about the Shelties! We use to get a lot of comments about our Collie that we had when I was growing up. Sherman sounds like Katy, he likes his space and doesn’t like a lot of people touching him or right up in his grill. I grew up with Mastiffs, and I remember some of these vividly! Oh I bet you got a lot of fun comments! 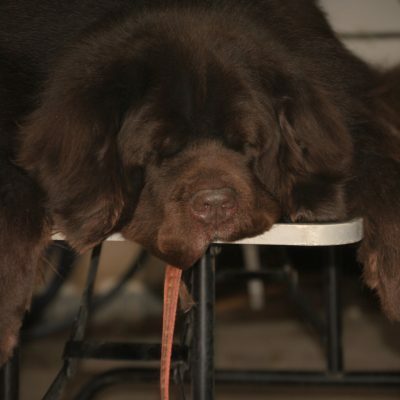 We have 2 Landseer newfies and a Flat coated retriever (people think a miniature newfie) and 3 Cavaliers and 1 Whippet. We are good on variety!!! Love every minute!!! Hahahaha. You’ve never seen me sometimes when I go for walks. It’s a scary sight sometimes! We get asked all sorts of questions when we’re out with our Rhodesian Ridgebacks. Whats that on their backs? We’re they really used to hunt lions? Lol like you we don’t mind we love talking about dogs and teaching people about the breed. We walk our black lab with both our Ridgebacks & people have said is she the outkast? I don’t like when people say that. I would be one of those people asking you questions because I find that breed fascinating! Luckily, the only comments/questions I ever got/still get with Callie and Shadow have been “They’re beautiful!” “How old are they?” and “What are their names?” Funny, I’ve never been asked “Are they friendly?”; but I had to ask people with other dogs to give us space because Callie was a bit territorial with other dogs (not people though). I think it’s a smart question, just at the wrong time! I’ve had to do that a few times with Sherman too. He’s not a big fans of other dogs in his face. Your boys are beautiful. People ask what kind of dog Cocoa is and when I say a Plott Hound the response is a what?? Not many people have heard of them apparently!! I get a lot of questions when I’m walking all four of our dogs. Am I a dog walker? Who’s walking whom? Do you have a sled? Looks like they’re walking you? Your dogs are so beautiful. I also get questions when I’m at the dog park. You’d think more people would be aware of this breed! It might be a good thing that they’re not! My wife used to walk our Newfie and my Great Pyrenees together just to see th near collisions on the street. Ha! We actually had that happen once! Thankfully it was a minor fender bender and no one was hurt but still I was in shock! Don’t stop in the middle of the road! We just returned home from vacation in Florida with our 2 Newfies. We thought we were used to all the questions here in Illinois but OMD we were so not prepared for the amount of attention they got in the southern states! People were stopping their cars and asking questions, surrounding us at the beach and wharf. During our photo session on the beach there were so many people watching and taking pictures someone even asked if they were celebrity dogs! My favorite question was from a guy who asked what they hunted because it had to be something big!!! Hahahaha! OMG, what did you tell him, Wild boar? Some I got asked all the time when Grizzly was around 4 to 6 months old.. and am getting again now with my new 4month old pup. Is that chow or a chow mix? Or.. is that a puppy cut? Do you shave the hair around his face? No, this is a 4 month old newfoundland puppy. They are fluffy and puffy because they all undercoat at this age. And he has not had any haircuts. This is just the way it grows at this age. Oh dear lord, I’ve gotten the chow one too. I can’t remember any specific puppy ones because it seems like so long ago! I get asked all of those questions. I take it that people are interested and my Newf just loves the attention. 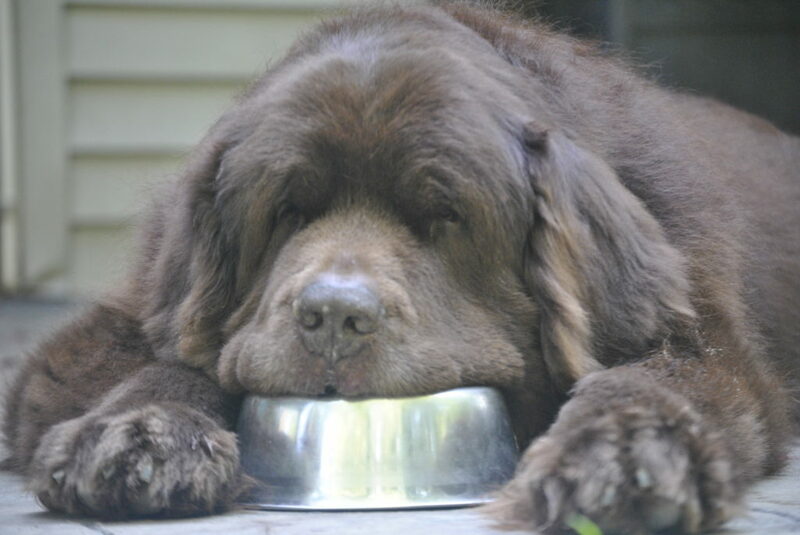 I use it as an opportunity to educate and say my Newf is the breed ambassador of the neighborhood. The one that made me laugh was people asking the drool one and then reaching underneath, it’s so true! When I get asked the St Bernard question I comment on Newfies saving that breed from being wiped out from canine distemper and occasionally a black Saint Bernard will happen. Then I may launch into Lewis and Clark, Nana the dog in Peter Pan and on and on.. Most of all I love my Newfs. Always have, always will, no matter how many questions I get asked. We get all these questions. There are some places, like the farmers market, that we take them all the time and if we go with out them we feel like nobodies. Having the Newf kind of gives you “Rock Star” status. I think I have shared this before, but one of the best comments I have ever gotten was, “I bet that thing sh!ts furniture” I had to thank him for the most original quote. My wife always tells people that our kids drooled and we kept them.